Smooth luxury lipstick, smear & kiss proof matte liquid formula. Dries FAST & a lightweight feel for an "easy all day" look! BRIGHT, SASSY, & FABULOUS! Smooth luxury lipstick, smear & kiss proof matte liquid formula. Dries FAST & a lightweight feel for an "easy all day" look! We can ship to most in the world, but certain limitations apply. Note that there are restrictions on some products, and some products cannot be shipped to international destinations. Domestic shipping is always free anywhere in the continental U.S. Please note, Boss Lash Club does not cover return shipping. In order to keep shipping costs down, our basic international shipping is done via USPS First Class International. This shipping method does not offer tracking via the USPS website and does not have a specified delivery period. It is not available in all countries. Typical delivery times are 2-4 days for delivery, however, shipping to some countries may take longer. Please choose the appropriate shipping method for your country/region as Boss Lash Club does not guarantee delivery for untracked shipping methods. International shipments may be subject to import taxes, customs duties, and fees levied by the destination country. Additional charges for customs clearance must be borne by the recipient; we have no control over these charges and cannot predict what they may be. Customs policies vary widely from country to country. Please contact your local customs office for information. 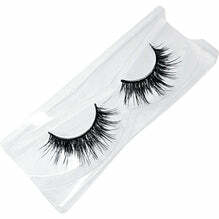 Once received Boss Lash Club will credit your account for the amount originally paid for the product. You can use this credit on future purchases.